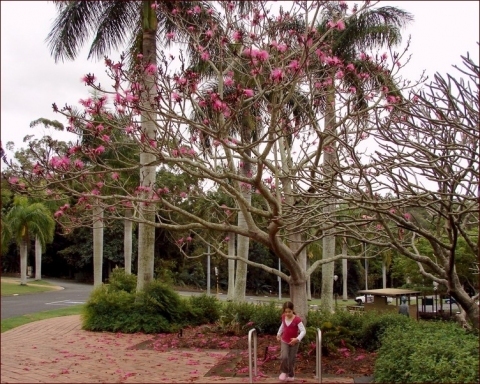 Tree, with its spent flowers at the base, of a gigantic specimen in the Mounts Botanical Garden, West Palm Beach, Florida. ]. The flowers often are used as decorations in houses and churches. Central America - southern Mexico, Guatemala, British Honduras, El Salvador.